Drum Pulper is divided into Feed Hopper, Pre-soaking Area, Pulping Area, Screening Area and Transmission Device. 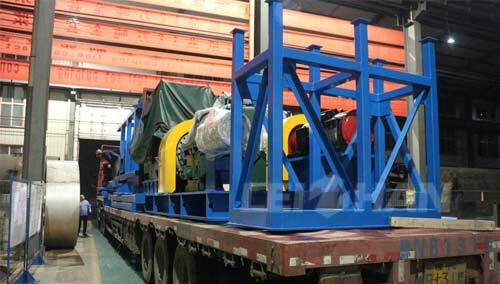 Because it’s big volume, a whole Drum Pulper always need to divided into several times to transport. The above picture are the delivery site of Drum Pulper transmission device and feed hopper. Drum Pulper for waste paper pulping is a very high efficient pulping equipment, many paper mill replace D Type Hydrapulper to Drum Pulper, because it’s convenient and almost no quick-wear part. For more details, feel free to contact us: leizhanchina@gmail.com.